Mary Margaret Shurts was born on May 13, 1947 to James Gregory Klungness and Nancy Marie Miller in Weed, California. She passed away in Bowling Green, Ohio on October 24, 2018 following a brave battle with breast cancer. Both of her parents preceded her in death as well as her sister, Kimberly Sue Weston (Joshua). Mary is survived by her husband of 50 years, Steven Wayne Shurts; daughters, Gina Marie Rymer (Michael), Renee Marie Boggs (Allen) and Sarah Teresa Barrio (Brian); sons, Aaron Joseph Shurts (Tanya) and Benjamin Wade Shurts (Kasandra), her brother, Steven Lee Hull (Dawn) and sister, Teresa Ann Krieger (Michael). She is also survived by seven granddaughters; Autumn Pace, Elizabeth Sparks, Sarah Rymer, Jocelynn Shurts, Annelise Shurts, Raegan Rutherford and Madison Ivansco. She is also survived by 10 grandsons; Zachary Philipp, Samuel DeMelo, Alexander Shurts, Aiden Shurts, Avery Shurts, Jacob Rymer, Brandon Shurts, Ian Barrio, Cooper Barrio and Ashton Rutherford and great-grandson, Gunner Pace. Mary grew up in McCloud, California and graduated from McCloud High School. She attended various community colleges in California pursuing a degree in accounting. After moving to Bowling Green, Ohio in 1984 she enrolled at Bowling Green State University, graduating in 1990 with a Bachelors Degree in Accounting. She passed the CPA exam and practiced in public accounting at Plante & Moran for 12 years. She then was the Chief Financial Officer and Vice President of Finance for Lutheran Homes Society, retiring in December 2013. 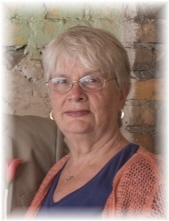 After her retirement Mary was very involved with her grandchildren, family history and genealogical research. She was an active member of the Church of Jesus Christ of Latter-day Saints serving in various callings during her membership. Funeral services will he be held on Saturday October 27, 2018 at 1:00 p.m. at the Church of Jesus Christ of Latter-day Saints, 1033 Conneaut Ave. in Bowling Green, Ohio with Bishop William J. Mullins officiating. Interment will follow at Oak Grove Cemetery. Visitation will be held Saturday at the church from 11:00 a.m. until the time of the service at 1:00 p.m. Funeral arrangements have been entrusted to Dunn Funeral Home in Bowling Green. Memorial contributions may be given in her memory to the Susan G. Komen for the Cure cancer fund. To send flowers or a remembrance gift to the family of Mary M. Shurts, please visit our Tribute Store. "Email Address" would like to share the life celebration of Mary M. Shurts. Click on the "link" to go to share a favorite memory or leave a condolence message for the family.